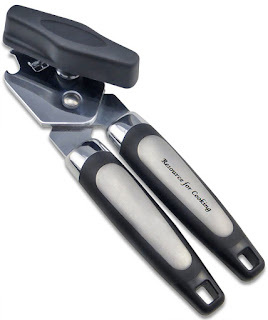 Wow right now snag this Resource for Cooking Stainless Steel Manual Can Opener for only $6.99 (Retail $39.99). Shipping is Free on orders $49+ or with Amazon Prime. 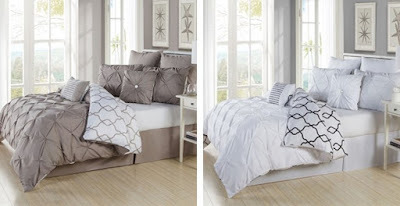 I am loving this 8 Piece Reversible Pin Tucked Comforter for only $69.99 (Regular $169.99). Shipping is FREE on this deal! Sizes Queen and King available! 6 Color Options! These comforters are a solid colored pintucked style on one side and geometric design on the other. These are a steal! 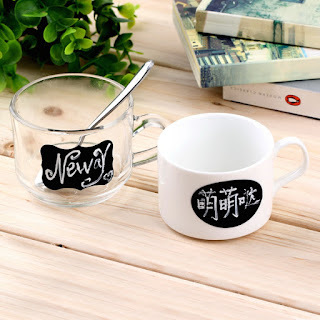 Right now get these 36-Pack Chalkboard Blackboard Stickers Jar Labels 12x3 for only $1.99 and Free Shipping (Retail $3.99)! These chalkboard labels are made with contact paper and made into pretty edged labels. These are so cool! 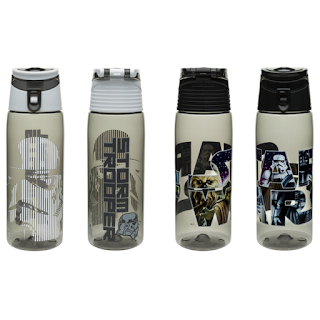 Right now get these Zak Designs Star Wars Tritan Plastic Water Bottle with Flip-Top Cap for only $5.99 (Retail $29.99)! Shipping is Free on this deal! Easily make fun treats for your child's classmates with this Set of 24 Personalized Valentine Stickers and Bags. 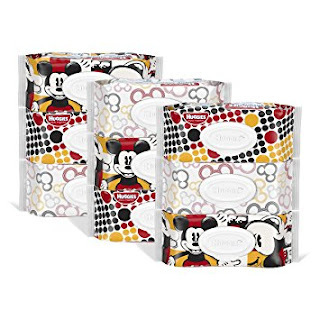 Right now, you can get these for $7.99, down from $20! 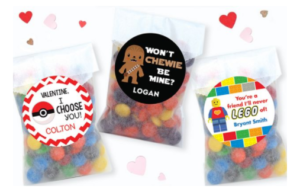 Make Valentine's Day extra cute (and oh-so-easy) with this set of 24 personalized stickers and candy bags! Giving Valentine gifts has never been easier, since both the stickers and bags are included. Your kids will love handing out Valentine treats that have their name right on the label! These are also perfect for families and teachers. -24 high quality personalized stickers that are generously sized at 2.5" in diameter. -24 food safe glassine bags that measure 3"x5.5" - just the right size for candy, small toys, or other goodies. This would make for a fun gift! 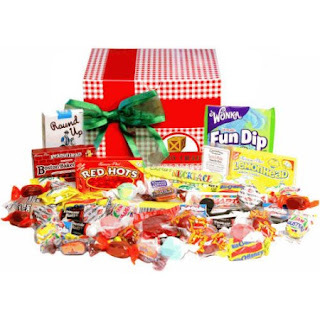 Walmart has this Holiday Nostalgic Candy Gift Box for $11.19. Opt for in-store pickup to avoid the $5.97 shipping charge. It includes over 50 pieces of candy. It includes over 50 pieces of candy. Wow! 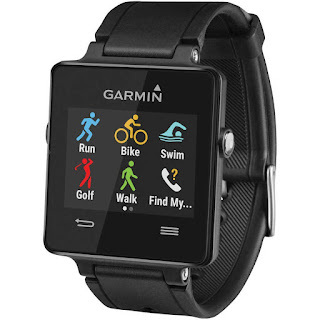 Right now get this Garmin Vívoactive in Black for only $149.99 (Retail $249.99). Shipping is FREE on this deal! Ratings for this fitness watch are very good! 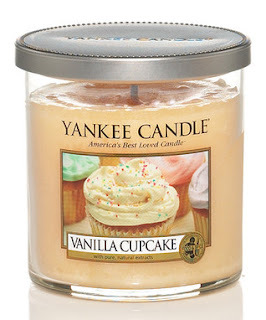 Head over to zulily where right now you can save big on Yankee Candles starting at just $11.99 (Retail $15.99+)! These are my most favorite candles. Long-lasting aromas are tested for quality and potency to deliver the best candles for your home. Fill your home with the soothing scent of this wax candle, which burns up to 45 hours with true-to-life fragrance. This would be perfect for a cold day like today! 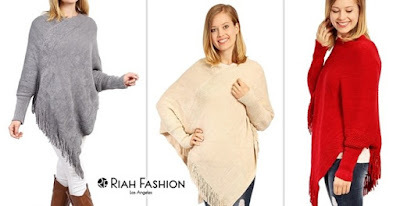 Right now get this Long Sleeve Fringe Poncho ~ 7 Colors to choose from for only $7.99 (Reg, $36.99)! A warm knit poncho perfect for winter cold days and nights. 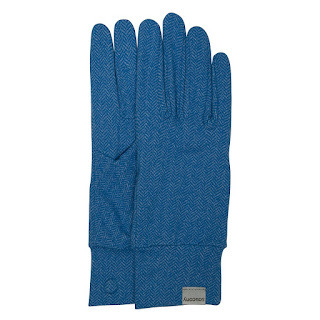 The soft texture will keep you cozy and stylish all at once! Featuring long sleeves and a fringe hem. $3.99 for the first item and $1.99 for each additional item. US only. Estimated to ship by Fri, Jan 13. Seller usually ships within 4 business days. 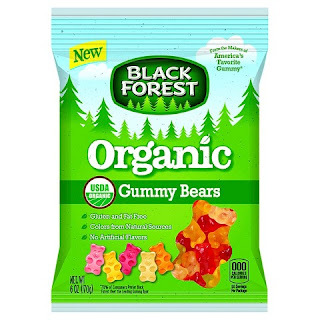 New Coupons: Frigo, Vicks, Glade, Dial + More! Have you checked out Uncommon Goods? If not make sure you do! Right now you can Save Up to 70% Off during the Year-End Sale. This What I Love About The Holidays With You Book (Gift your significant other this heartfelt fill-in-the-blank holiday memory book for a cozy Christmas) is $4.99 (Retail $10). I ordered a few things this Christmas for family. Quality is great and you can snag some unique gifts. 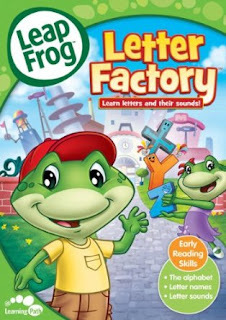 Right now you can get the LeapFrog: Letter Factory DVD for $7.95! This was one of my favorite learning DVD's with my kids. You can find more great deals on LeapFrog DVD's HERE. 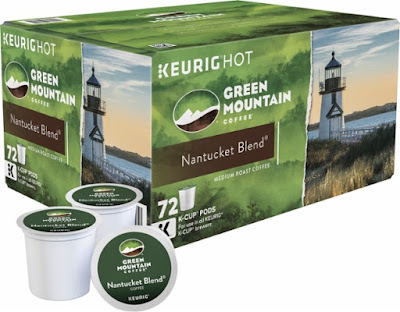 Right now Best Buy is offering up this Green Mountain Nantucket Blend 72-Count K-Cup Pods for only $19.99 (Retail $34.99)! That's just 28¢ per K-Cup! Opt for in store pick up to avoid shipping costs. Head over HERE to check out ALL of the Best Buy today only deals! If your stopping by Walgreens this week make sure to grab these Black Forest Organic Gummies or Trolli Candy for FREE! It's back! Run over and grab Huggies Simply Clean Wipes 648 Count ONLY $8.28! That's 1¢ per wipe. Make sure to clip the 20% off coupon and opt for Subscribe &amp; Save to get this deal. Sign up for Amazon Prime or Amazon Mom for Free Shipping. *Coupons disappear quickly. Price can change at anytime. Here's a deal you won't wanna miss at Target this week! Try Almond Milk with your oatmeal, instead of White Milk or Water! It's delicious. Ending today (1/8) - Shutterfly is offering Get One Memory Game, One Set Of Coasters, One Magnet, Or Two 8x10 Prints For Free with code FREEBIE at checkout. Choose one free magnet, one set of coasters, one memory game or two 8x10 prints (glossy/matte) through shutterfly.com, our mobile-friendly site or Shutterfly app (only select products are available on the app). Promo can only be redeemed once per account and/or billing address. Taxes, shipping and handling will apply. Not valid glass and stationery magnets, other print sizes and finish, other products, prepaid and annual savings plans, other products, prior purchases and orders placed for in-store pick up. Cannot be redeemed for cash or combined with select offers or credits. Not valid for resale. Today ONLY Save up to 25% on Running Apparel and Accessories $4.33 - $189.00. These Womens Saucony Brisk Gloves as low as $4.33 (Retail $24). Man some running stuff is expensive. I ♥ these! 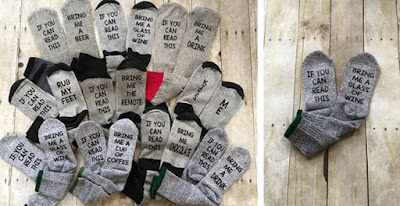 Right now get these Sassy Socks for only $13.99 (Reg. $23.99)! Shipping is only $1.99 on this deal! Great gift idea! Hurry over to check out the New Year, New You Under Armour Sale going on right now at Amazon.com! Prices start as low as $2.53! I love this Under Armour Girls Crossbody Tote on sale for $10.46 (Retail $19.99)! You'll find a ton of hot deals on tees, hoodies, leggings, pants, bags and much more! 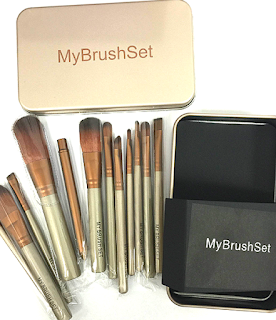 I am loving this 12 Piece Bare Bronze Brush Set for only $11.99 (Retail $80). Shipping is FREE on this deal. This essential brush set gives you all the tools you need to apply makeup like a pro. These designer-inspired professional brushes are hand-sculpted and assembled using the finest quality materials. Today only get this Diggin Bear Hug Ready Bed with Pump and Bag for only $39.99 (Retail $79.99)! Bear Hug My First Ready Bed is the ultimate sleepover solution. Perfect for when little friends come to stay or for nights away, this clever product makes staying over simple and lots of fun. This inflatable bed comes with an easy-to-use pump and inflates in minutes. Each bed has its own adorable bear backpack that makes transporting the bed easy. Perfect for nights at home and trips away, the Ready Bed can be used anywhere, anytime. Everyone loves a bear hug! 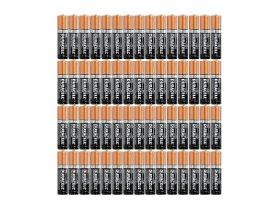 Today only at Woot you can snag some hot savings on batteries! Deals start at only $14.99! Final day to grab these hot deals on this season's best boots! 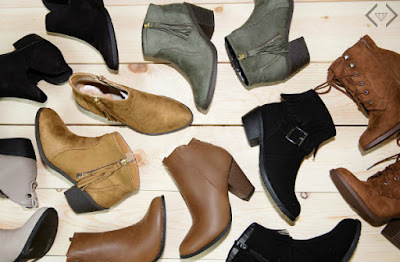 Right now at Cents of Style all Boots are $15 off the lowest marked price and FREE Shipping when you use code BOOTSALE at check out! From ankle to knee high there are boots for everyone! 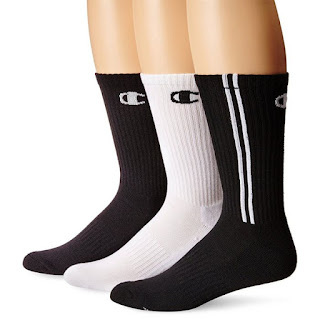 Right now get these 6 Pairs Champion Men's Dyed Crew Socks for only $15.99 (Retail $39) + Free Shipping! 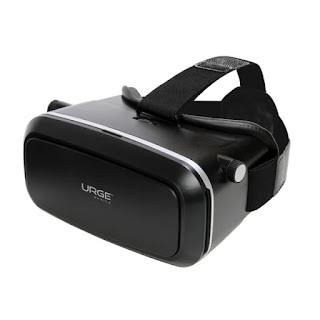 Right now get this Urge Basics VRx10 Virtual Reality Headset for Smartphones for only $14.99 (Retail $69.99). A $2.99 shipping fee applies to this deal. Lightweight, head-mounted display uses your smartphone to create fully immersive virtual environments. Compatible with most Android , iOS and Google Cardboard Apps. 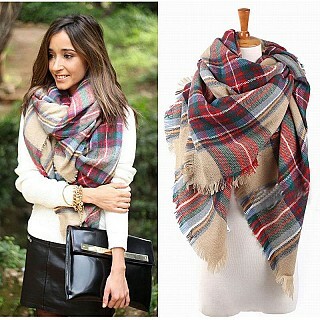 Snag this cute Plaid Blanket Scarf for only $8.99 (Retail $24.99)! Shipping is Free on this deal!